WOMEN returns on March 4th! 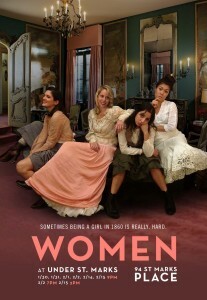 Chiara Atik’s comedy WOMEN is being remounted on TUESDAY MARCH 4TH! If you missed the show, here’s a great chance to see it. I play three roles: Mr. Lawrence (old! ), Clovis (hipster!) & Carl (young!). Tickets are only $5. Purchase here. New York Magazine approval matrix is here!